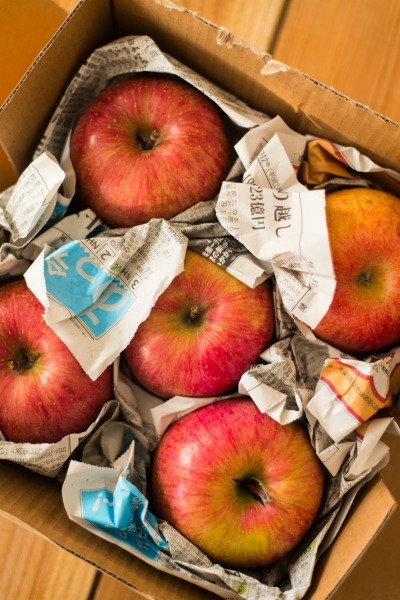 A blog from West Tokyo: Apples from Nagano prefecture. Those apples look really good why don't you cook a stew with them? Here in Holland we tend to cook stews with beef, onions and apples cut into bite-size chunks. It's delicious and suits the cold winter perfectly. oh yes, I really enjoyed reading your story and looking at your photos. I think those old temples are fascinating ! Boy, I have a lot to visit when I come to Japan. There's so much to do and so much to see, I'm going to be very busy then. I was there too, but i didn't feel anything at all.. It's very nice if you can! Indonesian food, Japanese food, whatever. My mom is the best though, ehehehhe.. I can't wait for visiting your country!